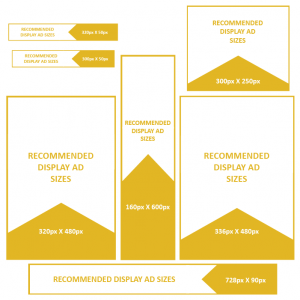 Targeted Ad Display simplifies the complex process of digital advertising. From prospect data to customer analysis to ad creation to campaign execution and debriefing, Targeted Ad Display optimizes your digital marketing campaign through a unique, best-in-class approach. Best of all? You simply send us a list of your customers or tell us the market you want to target and we do the rest. Creating a highly effective and affordable digital advertising campaign has never been so easy. Targeted Ad Display provides nationwide consumer and business executive data with extensive demographics you won’t find elsewhere. Do you want to target families with teenagers? Chief Technology Officers? Vice Presidents of Marketing? Baby Boomers? Households with swimming pools? Gardeners? Luxury car owners? We have it all. Our customer analysis and predictive scoring sets us apart. Smart marketers know that the prospects most likely to click and buy are those that look like existing customers. Targeted Ad Display’s best-in-class analytics determine exactly what your customers look like so you can target ads to prospects who look just like them. We take the guesswork out of ad targeting to maximize your digital campaign performance. Do you have an existing display ad? Great, we’ll make any modifications necessary to make it work in your Targeted Ad Display campaign. Never done digital advertising before? No problem. Our team of graphic designers will use the look of your website to create a display ad for you. Targeted Ad Display anonymizes your customer or prospect records removing all personally identifiable information. The records are then linked to their digital cookies or IP addresses and online devices within an automated, secure environment. This process allows you to show your ad to specific buyers across all devices – phone, tablet or computer – and optimize your response rates across online and offline campaigns by providing a true multi-channel marketing approach. Targeted Ad Display works with the world’s largest online inventory partners to provide massive reach in targeting your ideal buyers. And real-time campaign analysis means your ad is shown on the sites where it’s performing best. Targeted Ad Display continually analyzes campaign performance and monitors your campaign across all inventory to optimize performance on-the-fly. Once your campaign is complete, we’ll review what offers and customer segments were most responsive so that you can create the most effective go-forward plan for future campaigns. Achieve your acquisition, retention and branding goals by harnessing the power of over 280 million permission based consumer email addresses. These proprietary consumer data sets are available with matching postal information. The two key components of successful email marketing are data intelligence and data delivery. We have identified over 300 demographic and lifestyle attributes on our 280 million subscribers, allowing you to execute highly targeted campaigns. 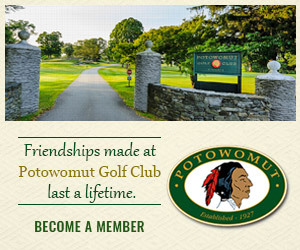 Match your offer to the proper individual and reach them through email, postal mail or both. Add a viral component to your efforts – the recipient of your email message can forward and share with like-interested friends, family, neighbors and co-workers. Choose from demographic, lifestyle, political and interest categories to pinpoint your market. Our delivery process is critical to the success of a permission based email campaign. We maintain a white-listed status with all major email and internet service providers. We adhere to a rigorous 13 point delivery process to insure maximum inbox penetration. A complete list of these points is available from your representative. We are 100% compliant with the CAN-SPAM Act of 2003. Get your message banner delivered on some of the top mobile sites with millions of viewers. The latest mobile marketing trend can put you in front of prospects who will be most likely to be interested in your message. Mobile Banner Advertising is one of the fastest growing segments of digital marketing. 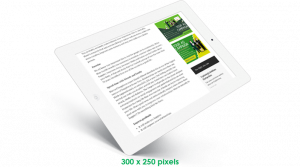 With over 2,000 publishers available, the opportunity to reach your target audience on their handheld devices has never been better. 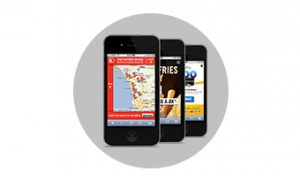 Mobile Banner Advertising is showing tremendous results for national brands. And now with improvements in technology, smaller businesses can tap into this powerful channel to reach their target audience on a local level. Mobile Banner Advertising is similar in concept to traditional banner advertising but typically delivers two to five times the interaction rate. The advantage is that Mobile Banner Ads use only a single mobile advertisement per mobile page. Now you can power your digital advocacy with individualized messaging. Our merger with DigDev Direct has created a Political Marketing Division leveraging over thirty years of experience on Capitol Hill. 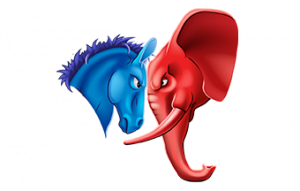 Combining superior data mining and technology we have created a merged Super Voter File, constantly updated with a vast array of consumer files, mobile and social contacts and voter lists. This unique master database replaces the duplicate and inefficient use of separate donor lists, voter outreach lists and voter registration drive lists. The file contains billions of data points on over 280 million consumers with address, phone, email and mobile. Each record contains over 300 demographic and psychographic attributes. This list is overlaid with 120 million voter records from state voter files, wherever it’s legal to obtain them. You can run counts and pull lists based on demographic, lifestyle and voter history information. With our proprietary 105 point propensity modeling, we identify data that is not found on the current voter files, which allows us to help predict those most likely to vote for a particular candidate or issue, most likely to donate and most likely to cross over party lines. Those most and least likely to vote based on voting history (in states w/o history we have modeled most likely and least likely voters). Use these scores to identify the primary contacts within various social circles to help identify where dollars should be focused. All known Independents and Democrats are scored based on 105 point comparison to assess the likelihood of them voting Republican. Not sure how display marketing services can benefit your company? The fact is that most small businesses are not sure how to properly utilize digital marketing display advertising options to their advantage. It begins with targeting. You have to identify your audience, who they are, where they go for information or to buy the goods and services you offer. Once you’ve established that, you want to make sure that you are easy to find on those platforms. The next step is to make sure that you market to those consumers on a regular basis using digital marketing banner ads. The idea of running display advertising campaigns is that a consumer sees your ad and brand as they are browsing the web, social media or checking their email. Even if they do not pay much attention to your ad, they are going to see your brand name and that’s important. The idea is the same with television, the more familiar someone is with your brand, the likelier they are to do business with you whenever they need your product or service. This is how utilizing a digital display market can increase brand awareness and eventually help you to also increase conversions. If you were to incorporate display advertising services from Virtual DBS into your marketing plan you will not only see an immediate increase in traffic, but you will introduce your brand to thousands of consumers, increasing the likelihood that they do business with you in the future. It’s important to take the time to learn about the advantages of banner advertising servicing, how to utilize it, how it can benefit your brand and more. If you have any questions you can call us at any time. We are also offering free consultations to ensure that you get the facts about this great option to reach consumers on multiple platforms.